In renewable energy applications you can call on our extensive, high quality product portfolio and extensive know-how in performance and reliability optimization. Our service is global with 24/7 availability, fast on-site support and original spare parts supply for maximum uptime and low operating costs. And we have 30 years of experience in wind energy. All spare parts are of OEM quality. 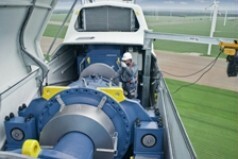 Our worldwide service network delivers directly to either our customers or to the wind turbine itself. 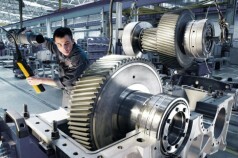 Our worldwide network of experienced service technicians offers fast on-site support. We recommend preventive, condition-based inspection and maintenance to maximize your system’s operational lifetime. 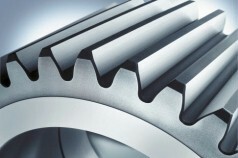 The highest quality standards and decades of experience with gearboxes and hydraulics ensure you are in good hands with us. 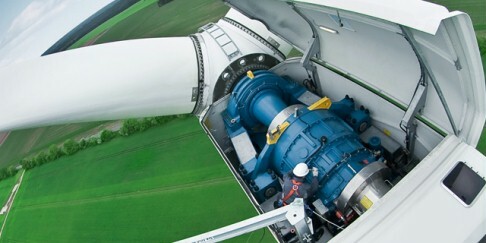 If requested, our experienced service technicians can assist you with wind turbine commissioning. Together you can prevent installation defects and potential secondary damages due to issues such as faulty component alignment or loose cable joints. 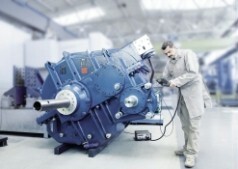 And, through early fault detection, we can increase the efficiency of your system.